Hello everyone and Happy Family Day to all you Canadians out there! 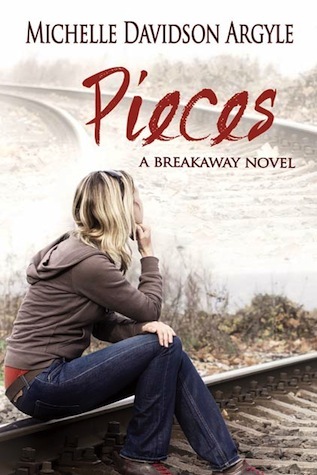 Today, I'm delighted to be one of the first stops on the PIECES BLOG TOUR to celebrate the release of, you guessed it, PIECES by Michelle Davidson Argyle! The Breakaway on Goodreads hereWhen Naomi Jensen is kidnapped, it takes her parents two days to realize she’s missing. Escape isn’t high on her list of priorities when all she has to return to is an abusive boyfriend and parents who never paid much attention to her. For the first time in her life she’s part of a family—even if it is a family of criminals. But she’s still a captive. In a desperate attempt to regain some control in her life, Naomi embarks on a dangerous plan to make one of her kidnappers think she’s falling in love with him. The plan works too well, and when faced with the chance to escape, Naomi isn’t sure she wants to take it. 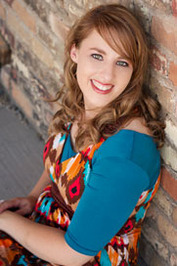 Two years after watching her kidnappers go to prison, Naomi Jensen is still in love with one of them. Jesse will be released in a few years, and Naomi knows college is the perfect distraction while she waits. But when her new friend Finn makes her question what is right and what is wrong, she begins to wonder if Jesse is the one for her … until she discovers he's out on parole. Naomi must sort through her confusion to figure out where love and freedom truly lie—in Finn, who has no connections to her past, or Jesse, who has just asked her to run away with him. That's literally how I felt when reading this series. One moment I was upset for Naomi and than a few chapters later I would feel glimmers of hope. I felt this way while reading both The Breakaway and Pieces. While Pieces can be read as a stand alone, I would strongly suggest reading The Breakaway first to get the full impact of this story and the relationship between the characters. The Breakaway does a great job at setting up the relationship between Naomi and Jesse and their sexual tension. Naomi is unsure of his true intentions and she's even more unsure of her own feelings. Definitely a case of Stockholm syndrome, but you feel that these two have the potential to truly care for each other. While she may come from a stable home, financially, Naomi's familial relationships are strained, to say the least, and she continues to remain in an abusive relationship up until her capture. She's clearly a fragile girl desperate for love and I think this is what truly leads Naomi's feelings on, for Jesse. Don't get me wrong, there's definitely a physical attraction between these two, but they're both so damaged it's hard to tell their true feelings for each other. One character I had a hard time liking was Naomi's Mom. She was a very selfish woman, who clearly wasn't ready to be a mother, I don't think she truly had enough unconditional love to bestow upon her child. With that said, she does make some great strides towards the end of The Breakaway, but she still had a ways to go in my books! The ending left of The Breakaway left me hopeful- Jesse stepped up and redeemed himself, and I think Naomi begins to grow as a character and learns that before you can let someone else love you, you truly need to love yourself. But than we have Pieces, in this instalment Naomi has had time to distance herself from Jesse and is working through the scarring events she experienced during her kidnapping. Even with time apart from each other, and Jesse still in jail, these two are determined to be together, but even though they may truly love and care for each other- are they truly what's best for each other? A new love interest in the form of a cute, sweet, cafe waiter certainly doesn't make the decision any easier on Naomi. Finn is everything Jesse isn't, patient, forthcoming with his feelings and a stability that Naomi isn't used to. There were a lot of twists and turns in this instalment that had me shaking my head in frustration at both Naomi and Jesse, and while I hate to admit it, I think Michelle kept the relationship between these two as realistic as can be expected considering the unconventional circumstances. I really enjoyed her treatment of these two and my heart broke many-a-time while reading The Breakaway and Pieces. While I think the ending of Pieces was handled very well, I would still love to see a third instalment (wink wink Michelle haha). Great contemporary YA closer to New Adult recommend to those ages 16+. This story and these characters put me through a rollercoaster of emotions and had me thinking well after finishing this story! Be sure to visit the other awesome blog stops during this tour (complete list linked up at the top of this post) lots of great reviews, posts and GIVEAWAYS to be had! Special thanks to Michelle and Xpresso Book Tours for allowing me to participate in this blog tour! 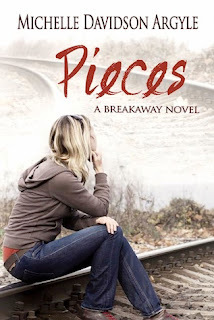 Hi *waves*, thanks for being part of the PIECES blog tour!